PT Djarum - Djarum is a well-known tobacco companies in Indonesia nased in Kudus Central Java. PT Djarum operates primarily as a producer of cigarette products for domestic and international markets. Its products include hand-rolled to machine-rolled cigarette products. For domestic markets, Djarum produces and sell a variety of cigarette brands with principal brands Djarum Super, Djarum 76, Djarum Black, LA Light. For international markets, Djarum's products has been exported since 1972 with principal brands Djarum Bali Hai, Spice Islands, Ten Mild. PT Djarum is widely known nationwide as the second largest tobacco companies in Indonesia as its controls about 20% of total national cigarette productions. 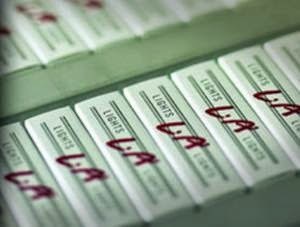 Djarum has total production capacity of 48 billion sticks per year. Djarum's head office is registered at Jl A Yani 26 - 28 Kudus. Djarum was formed in 1951 by an ethnic Chinese businessman, Oie Wie Gwan. In 1951, He bought a small cigarette company NV Murup with brand name Djarum Gramofon. Background in Bachelor or Master Degree (S1/S2) from all major. Minimum GPA of 3.00 from well-known universities. Fast learner, self-driven and out-going. Must be hardworking as these kinds of jobs require a lot of field work. The candidates with prior experience in marketing or sales is preferred. Willing to be relocated in any city in Indonesia. Background in Bachelor Degree (S1), preferably from Visual Communication Design, Product Design. Previous exposures in advertising or consumer goods industry will be highly prioritized. This position is based in Jakarta Office. Background in Bachelor Degree (S1) in Mechanical, Mechatronic or Electrical Engineering. Minimum GPA of 2.75 from well-known universities. Technical minded, able to demonstrate numerical and scientific ability. This position is based in Kudus Office (willing to be placed in Kudus Central Java). Background in Bachelor Degree (S1) in Information Technology, Information System. Professionally able to utilize PC platform and its applications, especially Windows 7 Professional Suite (MS Office, Word, Excel, PowerPoint, Outlook and Access). Mastering some basic configuration of hardware, LAN, and WAN. This position is based in Jakarta, Kudus, Surabaya and Bandung. Background in Bachelor or Master Degree (S1/S2) in Information Technology, Information System. Professionally able to utilize networking concept, MS SQL Server 2000, VB / VB Script and ASP. Technical experience in VB.NET/ASP.NET program, Java/Java Script, HTML 5, CSS, Crystal Report. This position is based in Jakarta. JobsCDC.com now available on android device. Download now on Google Play here. Please be aware of recruitment fraud. The entire stage of this selection process is free of charge. PT Djarum - Marketing Trainee, Designer, Mechanical Engineer, IT Support Staff, Programmer Djarum March 2018 will never ask for fees or upfront payments for any purposes during the recruitment process such as transportation and accommodation.